“For Gallifrey! For victory! For the end of Time itself!" As series 5 just ended on BBC1, I am preparing to re-watch the whole season again starting in August. By that point more episodes will be available to watch on Blu Ray. I haven’t seen all of them in HD yet but am eager to do so. To get myself ready for it, I decided to re-examine the first part of The End of Time. 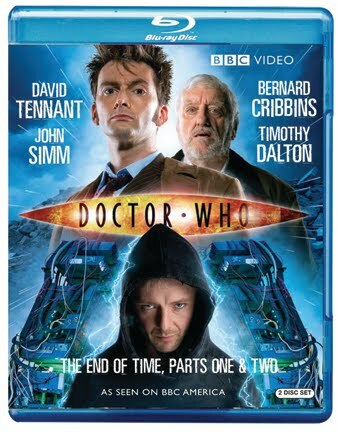 The End of Time is truly an end of an era as it is not only the final adventure of the Tenth Doctor but also the end of Russell T. Davies involvement in Doctor Who not to mention other people who were involved. This story is the last of a series of specials which started in 2008 with The Next Doctor and continued over the course of 2009 with Planet of the Dead and The Waters of Mars. The story starts out with apparently everyone on Earth having bad dreams. These bad dreams are not just confined to our planet but this must affect many species in the universe including the Ood who summoned the Doctor at the end of The Waters of Mars. The bad dreams apparently just consist of The Master laughing at them. After the Doctor finally visits the Ood, though much time has passed from when they originally summoned him, the Ood gives him a glimpse of what is happening and who the players are at the center of all this. It is not just the Master; it is also Joshua Naismith and his daughter Abigail. More troubling is Wilfred Mott who is one of the only people who remembers the dreams. I was very eager to see this story as it not only marked the end of the Tenth Doctor era but it also seemed poised to wrap up some of the loose ends we had seen through out the last couple of years. These included who picked up the Master’s ring at the end of Last of the Timelords but it also started to give us a little more insight into what happened in the Time War. Unfortunately, in true RTD fashion, it takes us a while to get there. Not that is a bad thing but it often feels like in his 2 part stories, he has one big objective to get to in the first part (which unfolds at the end) and then the second part goes at break-neck speed only to allow the last 10 to 15 minutes as a character driven wind-down. The Master’s ring was picked up by Miss Trefusis who works at the prison Lucy Saxon is held. The scene where Trefusis picks up the ring is satisfying because its not who anyone expected. Thankfully it was not the Rani! Apparently, there is a cult that knows and worships Harold Saxon/The Master and they want to bring him back. Doing so is very impressive and these people give their lives to resurrect him. Lucy, whose DNA is needed to help with the ritual, has her own group ready to respond. They even have some sort of anti-Master toxin. This scene is a little self-indulgent and overly wordy. Lucy’s passionate speech to her former husband is nothing more than filler. Thankfully they all blow up except the Master. Though the resurrection is not complete and makes him a ticking time-bomb. There are some amazing guest stars in the episode. Not including the return of Catherine Tate or Bernard Cribbins there is Brian Cox, Claire Bloom, June Whitfield and of course Timothy Dalton. None of these actors are in any kind of cameo or throw away role. Each one is essential to the plot and they make the story better for it. The effects and design for the story are amazing. The shot of the surface of the Oodsphere is breathtaking and vibrant. The Ood masks with intricate facial expressions translate extremely well to high definition. The Ood are a personal favourite of mine and I am so happy they played such a major role in the Tenth Doctor era. 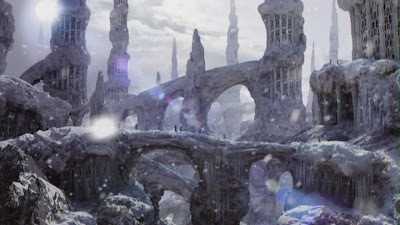 There is also a stunning scene where the Doctor rush from the Oodsphere to the prison the Master was being resurrected. He lands the TARDIS and darts from the control room in the ship to outside the prison in one camera movement which is a combination of part of the scene shot in studio to part being shot out on location. 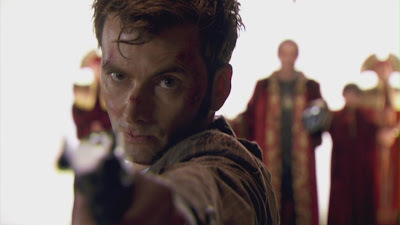 A really exciting shot which highlights the urgency the Doctor has in trying to stop the resurrection of the Master. It’s very nicely done. What doesn’t work quite as well is the Master’s constant transformation into a skeleton. It just doesn’t look that good. Once the story settles down a little, there is a nice scene between The Doctor and Wilf. Both are old men and are at latter part of their lives. The Doctor’s end will come much sooner. The only part of the scene which makes me wince is once the Doctor starts to break up and cry telling Wilf how things have gone wrong. The Doctor also sounds a bit too childish worrying about the possibility of regeneration. He clearly loves himself the way he is now. I’m sorry to say but I don’t personally think these types of scenes work well for Tennant. He fails to impress me in scenes like this. I know I am in a minority as the scene is a fan favourite. Part of The End of Time revolves around President Obama’s Christmas speech where he will announce how he will end the recession. I cringe when I watch this because not only am I still waiting for the announcement from the President on how he will end the recession but the President is not the Queen. He does not give Christmas addresses like Queen Elizabeth II would on Christmas Day. To me, it highlights lazy research about how the US government operates. RTD does the same thing in The Sound of Drums from series 3. One thing I thought RTD did really well was some misdirection of the major threat in the episode. 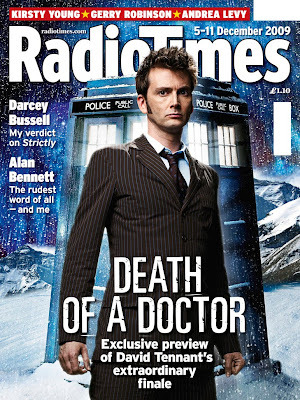 Almost as soon as we knew Tennant was leaving, we knew that the Master would return in Tennant’s finale. I kind of figured there may have been more to it in terms of the real threat but it was still a good misdirect on the part of the production team. We also knew about Joshua Naismith since Planet of the Dead. His name, or the name Naismith, was brandished on the side of the bus that ended up on another world. The name Naismith is also a fun way of foretelling the future for the series as the metallic element Sodium has the symbol Na but also has the atomic number 11. Smith is the last name for Doctor #11. Naismith. Very cool! The finale is a double whammy…..thank goodness. It looked like for a moment, the awful cliffhanger of the Master becoming everybody on Earth would be the end of the episode. It is technically impressive but very silly especially the President Obama “look-a-like” covering his face while transforming into the Master. 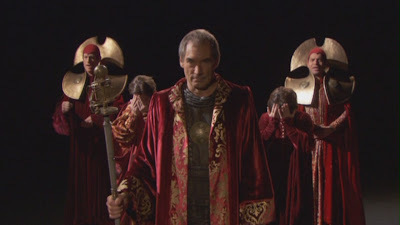 The real cliffhanger is the apparent return of the Timelords lead by the Lord President of Gallifrey. How they exactly will return is the real cliffhanger. Once I get closer to re-watching Series 5, I plan on watching The End of Time Part Two. 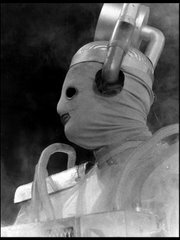 The “Next Time” trailer is very compelling as we see images of the Timelords, the Master and a brutally beaten up Doctor.